Dave, RFC, The Rock, Dethklok, Super Heroes, Live Music, Zombies and More! Due to your PopCulteer being a bit under the weather, this week’s column is a mere ten random items, sporked out of the industrial-size can of blog fixin’s for your semi-enjoyment. RFC 120 “Zombie Babies Shirt” from Rudy Panucci on Vimeo. The music will kick off at 5:30 PM, and run all night long. Seven dollars gets you in the door. The line up of bands includes Dugan Carter, Spurgie Hankins Band, Duo Divertido, Quiet, The Buttonflies, 600 lbs. of Sin, The Scrap Iron Pickers with special guest drummer Chris Russell, and Diablo Blues Band. These bands are donating their time to play and ALL PROCEEDS FROM THE DOOR WILL BENEFIT THE DAVID RUSSELL MEMORIAL FUND. Read more about it in the production notes for RFC 120. 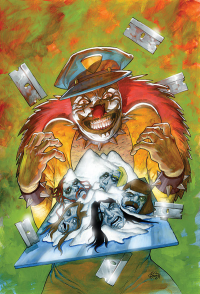 Dark Horse Comics just wrapped up a three-issue mini-series based on the Adult Swim show, Metalocalypse. Soon those books will be collected as a graphic novel. Co-written by the series’ creator, Brandon Small, these books are a must-have item for fans of the show. Check out this preview of issue three, from Comic Book Resources. Aside from the Dave Russell benefit, there are a couple of other notable shows that may interest fans of RFC. Friday night at Bruno’s, Blue Million kicks off a cover-free set at 9 PM. Saturday night, The Concept and The Renfields are going to be at The Empty Glass at 10 PM. Cover charge is seven bucks. So if you’re a comic book geek, you probably know that Marvel killed off one of the Fantastic Four. The Human Torch has gone out. 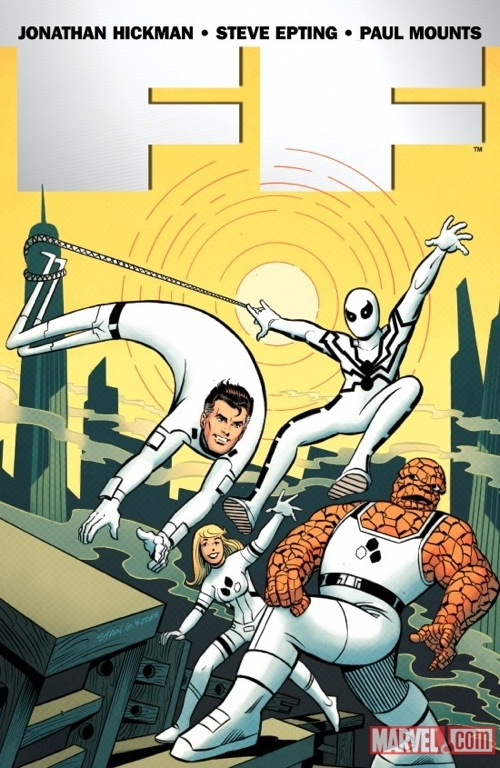 You can see a preview of the new book, “FF” (it stands for “Future Foundation”) at Comic Book Resources. The notable thing about the new title is that Spider-man has joined the team to replace his fallen buddy. More interesting, though, is the variant cover for FF #1, which is drawn by Stand Goldberg. Goldberg, a colorist for Marvel in the 1960s, just recently left Archie Comics, where he’d been one of the main artists for decades. Good to see he’s still plugging away at the age of 78. I predict that a popular movie will win for Best Picture, and there will be a shocker in one of the catagories as someone scores an upset. Radio Free Charleston is preparing to go weekly for the next eight to ten weeks. We have a ton of great music recorded, and are still popping around town to record new stuff all the time. RFC 121 is called “Thrilling Detective Shirt.” You can see it Monday, but here’s a sneak preview now. The Radio Free Charleston movie, “Jazz From Hell” should resume production and wrap in the next two months. We’ve been delayed due to the death of Melanie Larch’s mother and the illness that preceded it. We will post details here as they materialize. It can be so pleasing to sit back and watch Karma kick into action. What goes around does indeed come around. In the end, the love you take IS equal to the love you make. Good does triumph over evil. Posting ridiculously vague blind items is so much fun. Mark Martin is preparing to revive one of the funnier black-and-white parody comics of the 1980s, his creation, Gnatrat. He’s created a Kickstarter.com page. 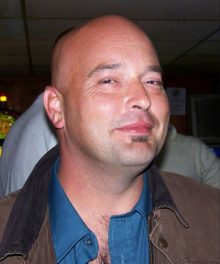 I’d planned to write about it, but before I had a chance, he met his fundraising goal. However, you can still watch the video and throw money at him. I’m sure he won’t mind. All our regular features return, Sunday Evening Videos, Monday Morning Art, Radio Free Charleston and The PopCulteer, plus other random bits of neat stuff may pop up here and there. You just never know.